How to Get Away with Murder had been on my radar since it premiered last year but with the plethora of continuing series keeping me busy and the show being on an obscure television channel here in the UK it was something I had completely forgotten about. That was until I watched the Emmy’s this year. In all honesty, I had been rooting for Tatiana Maslany who I have been supporting ever since the first episode of Orphan Black and will continue to do so as she is in her own right an inspiring young actress. However, the importantly powerful and incredible acceptance speech given by Viola Davis when she won in that category gave me all the more reason to finally pay attention to a series that was lost in memory. I was not disappointed. 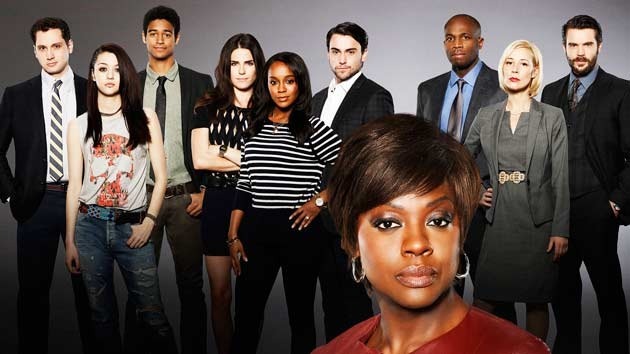 From the production company ShondaLand, this show tells the story of aspiring law students at Middleton University and their illustrious practicing Professor, Annalise Keating as played by the once mentioned Viola Davis, this series embarks on the journey of these students into becoming the lawyers they desire to be. From the very first moment, you discover that four in particular have been twisted into a murder and the who, what, when, why and how drives the plot forward in a barrage of unrelenting episodes that give you reason to have at least a five-minute break before the next. You know that final scene of Legally Blonde? When Elle Woods finally nails her killer with her knowledge of perms? I’d watch the entire film over and over just for that scene, I loved that feeling of accomplishment and with all the usual vilifying of defense lawyers on television it was a refreshing viewpoint that is more often neglected. How to Get Away With Murder has that satisfactory sense of success with a new case highlighted in each episode that creates opportunities to introduce the characters and their stance in the unfolding narrative and eventually their involvement in the murder that you’re constantly reminded about; in case you forgot. Which does nothing but increase the rising tension that escalates further with each and every episode. This is why I devoured this series in a couple of days. Episodes left me gasping out loud at the sudden plot twists that you thought you’d already called. I’m really not kidding. This show invites you to theorise the outcomes and spot the clues that are subtly and intricately laid out, and even if you’re sharp enough to guess the right suspect there are countless u-turns, diversions and possible junctions of possibilities as to what actually happened. The progress toward the finale was like climbing a ladder, each rung adding suspense and anticipation to finding out the truth. Then you reach the top…and you pretty much topple over when the truth is revealed. That’s what it personally felt like and I can’t wait to delve into the second season to see what they have on offer. There is little to report as to problems with this series, seeing as I’m no lawyer myself I cannot discredit anything that is said or discussed in the court room or the judicial jargon used but as a viewer who has always been interested in this subject you do learn from it. What do you know, this show is even educational. The plot is finely paced, there are times in which particular moments become repetitive but from viewing experience this is often used to reveal something you might have missed after first time seeing it or because of new information brought to light you can view the past scene through new eyes. No character is neglected, you can witness the journey of all of the main ensemble and how events have effected them before and after the murder that introduces the show. It is a welcomed diverse cast and the characters have depth and are relatable despite the extraordinary circumstances they find themselves in. Personally, I wouldn’t know how I would react if this were reality but the unique and individual reactions of these characters are frighteningly realistic. Sexuality is treated with normality and not simply as a plot device and the casting of Viola Davis alone requires a congratulatory applause. You do not mess with Annalise Keating. Let that be a warning. I discovered in the first episode why she received that Emmy, you do not see characters like her on every television drama. 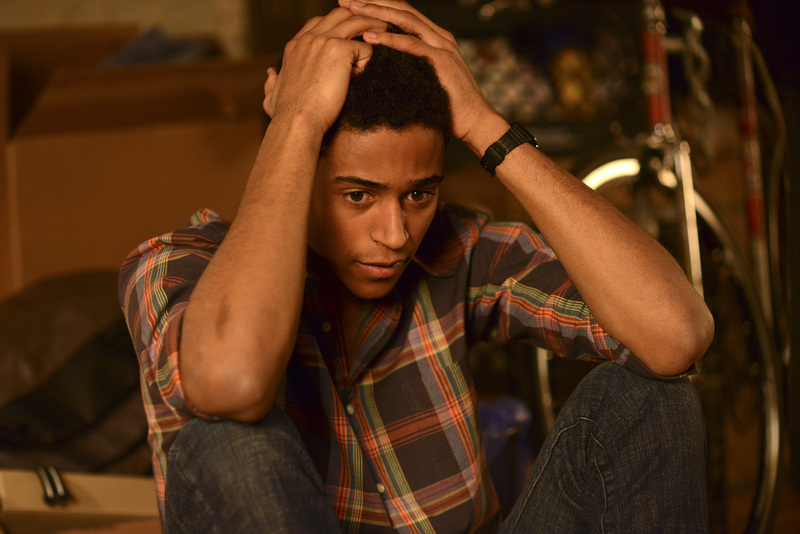 Fun Fact: The above Alfie Enoch is famously known for playing Dean Thomas in the Harry Potter series of films. After seeing the prowess of these writers I have no doubt that How to Get Away with Murder will continue to be as successful and engaging as this first season and already it is currently airing it’s second; fingers crossed a third is already lined up. The relationships are complicated, endearing and don’t distract completely from the main plot focus. The meandering lines of murders knot together so that there is interest in every episode and not just fill the gap before the big mystery reveals. You think you know a character? Think again. That’s all I can say without giving away any spoilers. So please, just watch and enjoy! You can watch How to Get Away with Murder on ABC or Sky in the UK or the DVD is available for pre-order. Were you able to correctly guess any of the plot twists in this show? Did you see Viola Davis’ acceptance speech? What else should I be watching? Let me know in the comments! Thank you for reading and if you want updates on my future blog posts then check out my twitter @bingebox. I'm just another TV binge hangover victim trying to find a cure by sharing my thoughts with you guys! Stay strong fellow bingers.